More fun with Country Life! 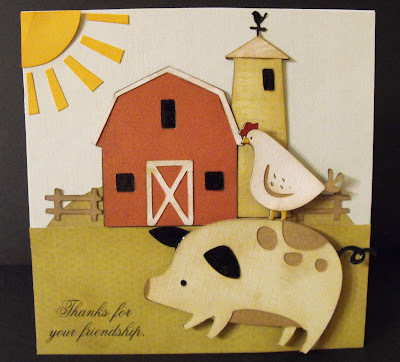 Hey everyone - I am loving this Country Life cartridge! 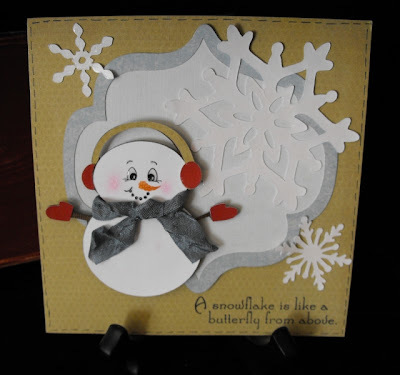 There are soooo many fun cuts! I hand cut the sun. The stamped sentiment came from My Pink Stamper. 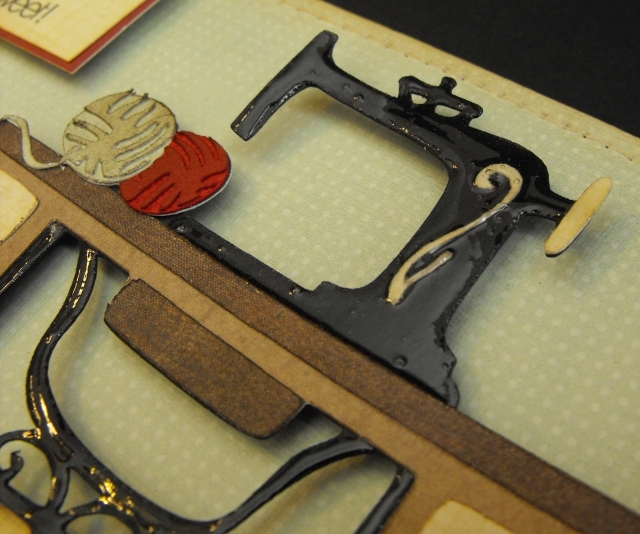 All of the patterned paper is Crate Paper. The black is the only paper that isn't patterned. 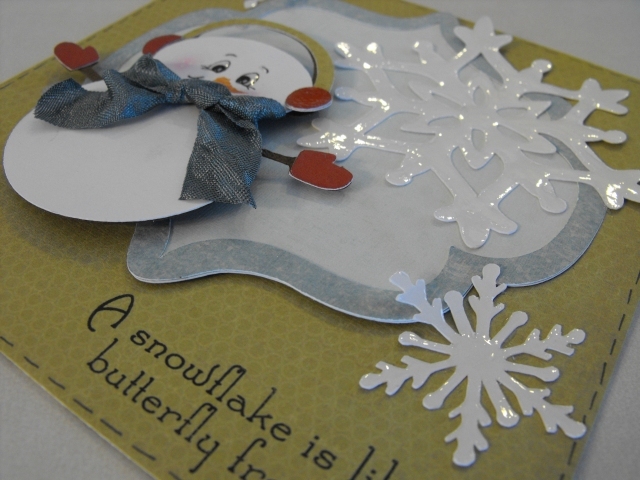 I love the soft, subtle colors on the back side of brighter patterned card stock! 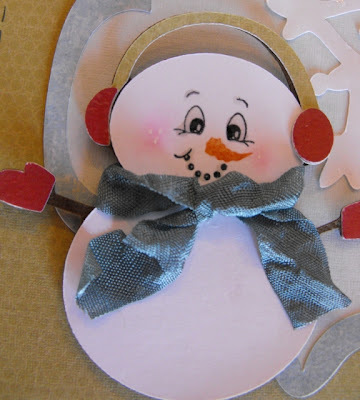 The blue background paper is 5 1/2 by 3 1/2 inches and the green background paper is cut at 5 1/2 by 2 inches. I used glossy accents on all of the black pieces and dimensional squares to lift the pig and chicken up a bit. Sewing machine table - 3 1/2"
I covered the sewing machine and black parts of table with glossy accents. 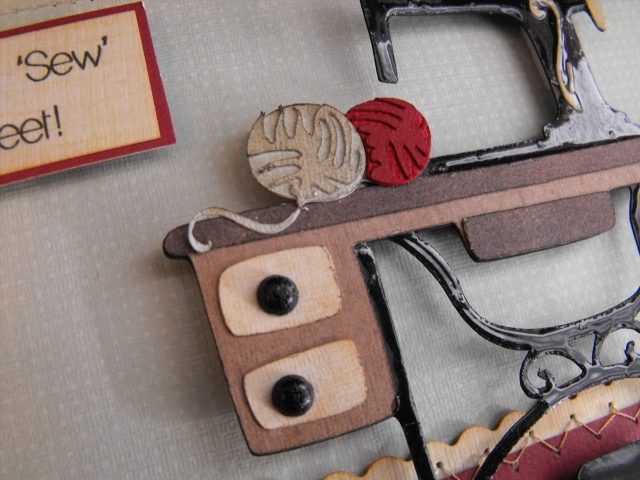 I used Ranger inks (Tea Dye & Walnut) to ink all of the pieces before I glued them together. The drawer knobs are just black brads and all of the cardstock is Crate Paper. I also used Dimensional squares to pop everything off the card base. 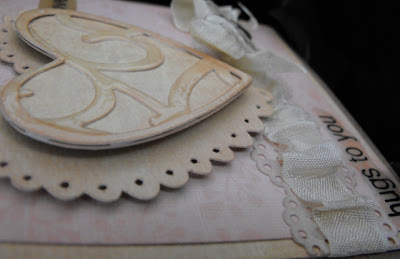 I have invited two very talented ladies to be guest designers here at My Craft Spot from time to time! 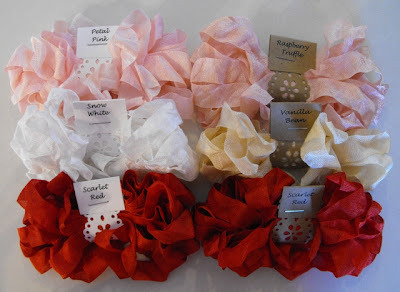 Their work is beautiful and they will be showing ways that they use My Craft Spot Crinkle Ribbon! You have already seen a couple of gorgeous cards from Mona Pendleton (Cupcake's Creations). Click here and here if you missed them. 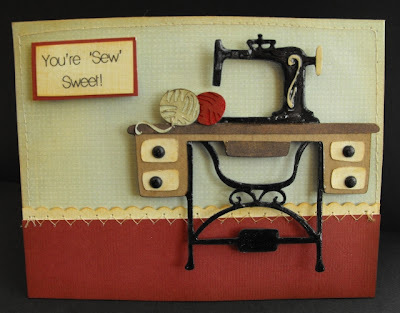 Anabelle O'Malley over at Bits and Pieces created this beautiful card! 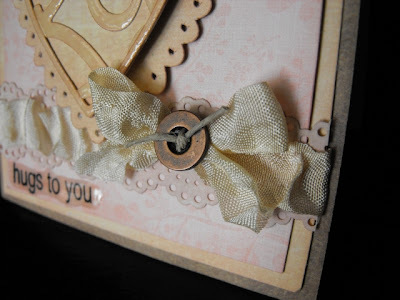 I love how she added stitching, layered her border punches and of course I love her beautiful bow tied with Crinkle Ribbon! For more details, click here to visit her blog! 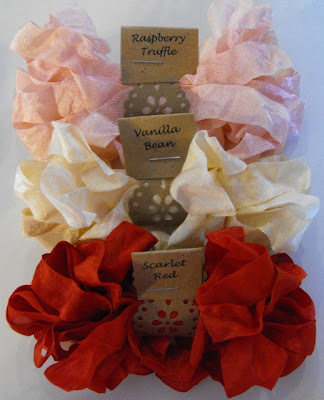 Mona Pendleton over at Cupcake Creations tied this beautiful bow using Buttercup Crinkle Ribbon. Isn't it pretty? The sweet little flower is from Prima. 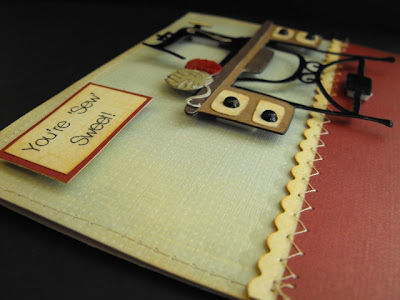 Click here to see the rest of her beautiful card and explore her blog - she has created some amazing projects! 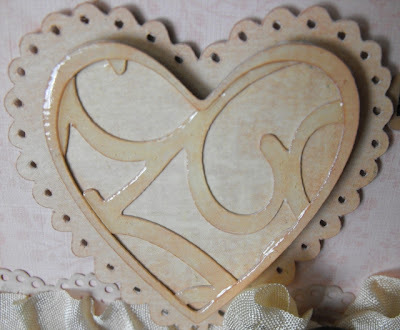 Vintage Valentine - Make your own Paper Lace Die-Cut! 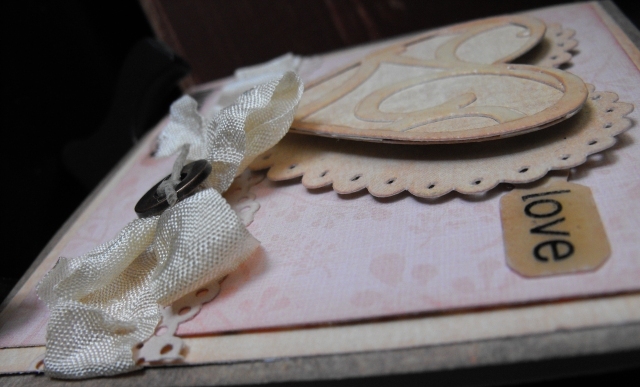 I used the Heritage and Sweethearts Cartridges, but any cartridge with a heart and any lacy background (lacy labels) would work great! 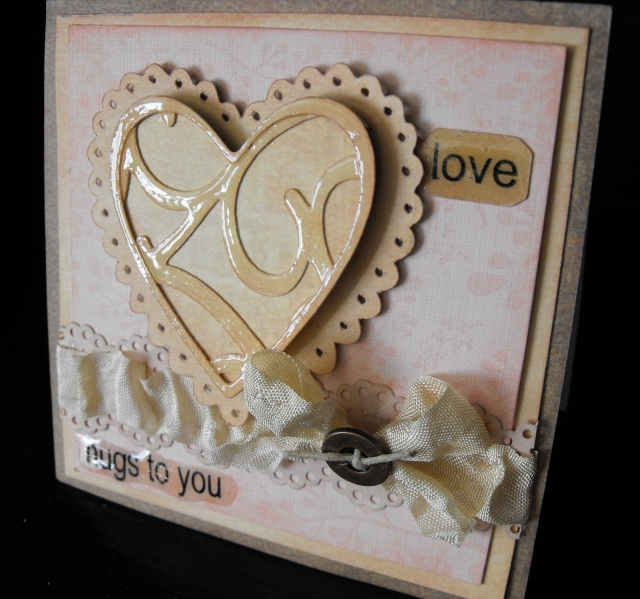 I also used Glossy Accents to give the heart and sentiments a little shiny dimension. I used Vanilla Bean Crinkle Ribbon for this card. 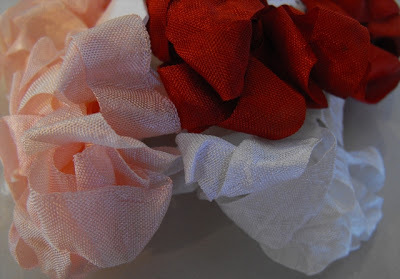 Scroll down for a video showing how I made the ribbon border! 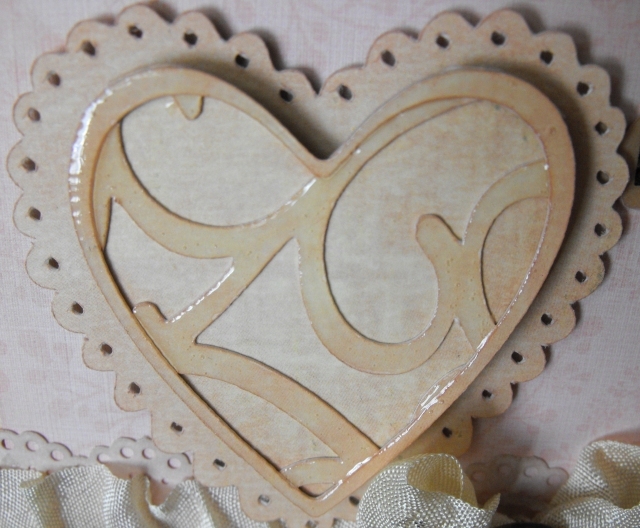 Scroll down to watch a video showing how I made this heart with my Gypsy (super easy)! Be sure to subscribe to my blog via email - at the top right of my blog - updates of new posts will be emailed to you!! New Ribbon colors for Valentine's Day cards and layouts! 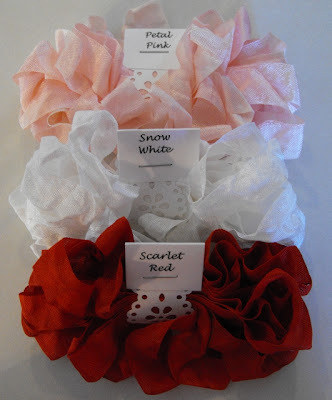 I have 2 new sets, but the only new color is Scarlet Red! 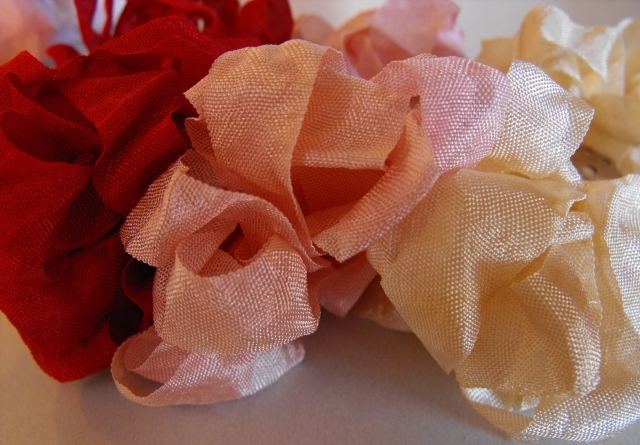 It is a bit brighter than Cranberry, but just as rich. Click HERE to see all of the newest colors! 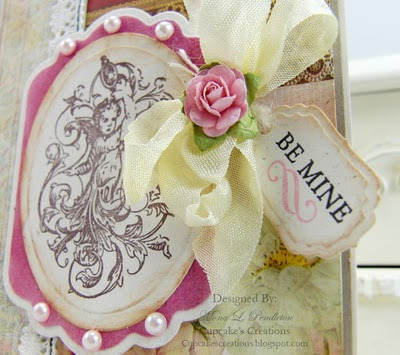 Check back tomorrow for 2 new videos and a Vintage Style Valentine! 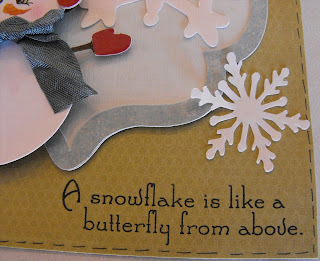 A snowflake is like a butterfly from above. 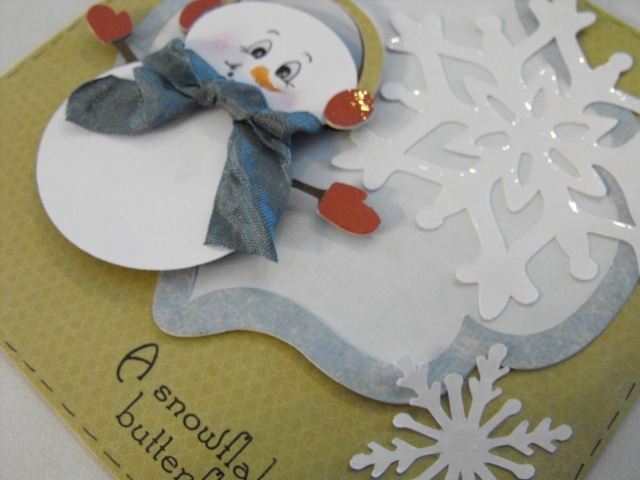 This cute snowman and blue background shape come from the Winter Frolic cartridge! 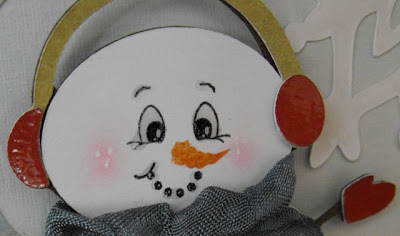 I stamped the face using Peachy Keen Everyday Character faces, used a white gel pen and pink chalk for the cheeks, and glossy accents to add some dimension and shine. I used Stormy Day Crinkle Ribbon for the scarf. I cut the snowman at 3 inches from the Winter Frolic cartridge. As I am looking at this card, I think maybe (if I were to make this card again) I would cut the snowman at 4 inches to make him a bit bigger, or perhaps attach him a little lower in the left corner. What do you think? 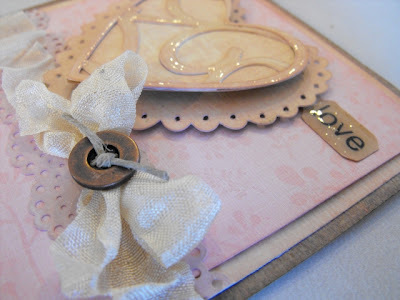 Come back on Monday for a vintage valentine card with 2 new videos! You can now subscribe to my blog via email! I so much enjoyed reading all of your SWEET comments!! (Yes, I read each one!) Hope you all have a wonderful New Year! One of you asked how to get email updates from me - I have been trying to put a little 'subscribe by email' gadget on my blog, but have not figured it out yet . . . sigh . . . anyone know how? 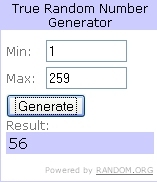 Lesley - Send me your contact info and I will get your package in the mail!